Let the spring fever commence! Punxsutawney Phil crawled out early Saturday morning and did not see his shadow, signaling it will be an early spring. "Spring, bring it on," said TODAY's Erica Hill. 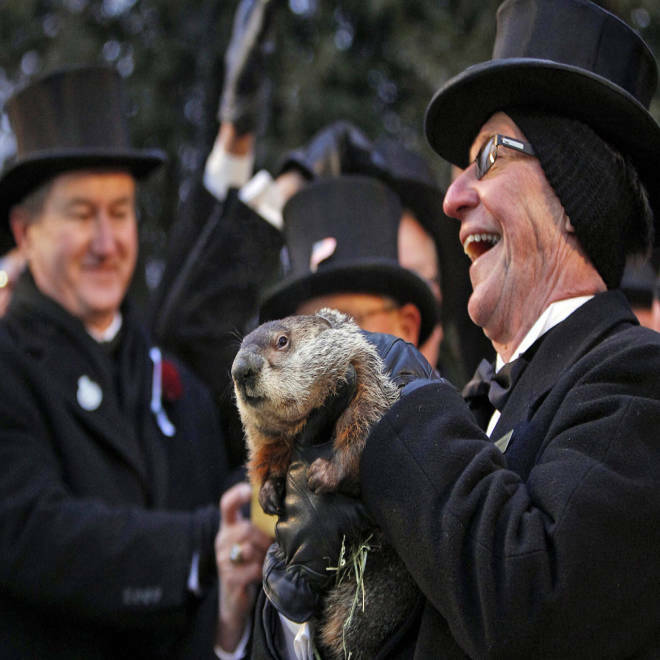 "The groundhog has proved me wrong once again," said TODAY's Dylan Dreyer, who guessed Phil would see his shadow. "He messes me up." 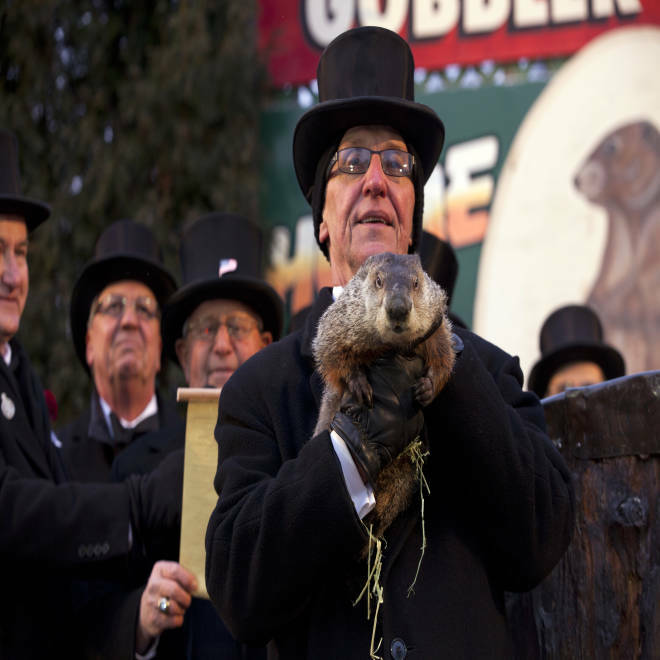 This year is the 127th Groundhog Day celebration, which is held at Gobbler's Knob in Punxsutawney, Pennsylvania. 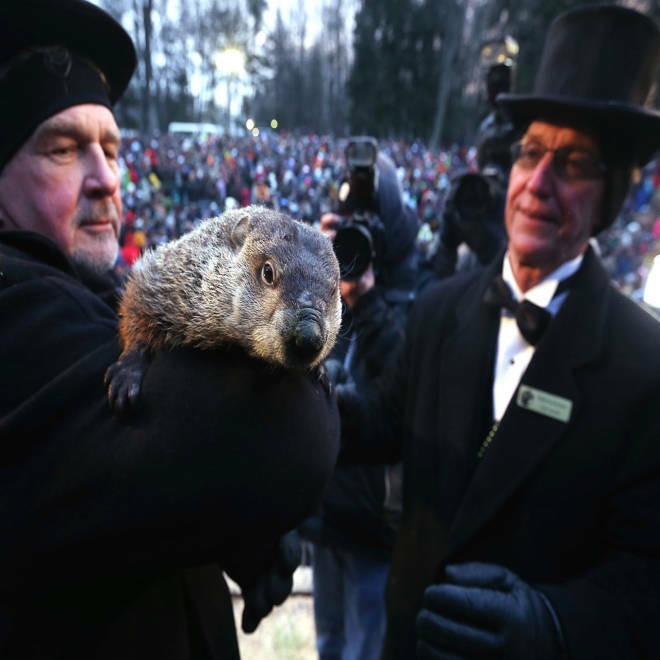 Coming into this year, Phil had seen his shadow 100 times and had not seen it only 16 times since 1886, according to Punxsutawney Groundhog Club's Inner Circle. There are no records for the missing 10 years. The 15 members of the inner circle, clad in tophats and tuxedos, decide in advance whether to announce Phil has seen his shadow or not, even though the groundhog does the symbolic duty. In Punxsutawney, which is about 65 miles northeast of Pittsburgh, the groundhog annual makes his prediction on a hill known as Gobbler's Knob. The event annually attracts more than 15,000 people and brought as many as 30,000 in the wake of the 1993 release of the Bill Murray classic movie "Groundhog Day,'' according to the Inner Circle. There also are updates on Twitter and Facebook. According to local reports, about 35,000 people gathered to watch Phil's annual forecast. The celebration dates to the early Christians in Europe, particularly the Germans, who were some of the earliest settlers of Pennsylvania and believed the groundhog's intelligence was such that if the sun came out on Feb. 2 it would be smart enough to go back underground for another six weeks of winter. The first written observance of the tradition came in 1886 after it had earlier been conducted privately in wooded areas outside town. See the whole event, from pre-dawn celebrations to Phil's interviews with the media after his forecast.